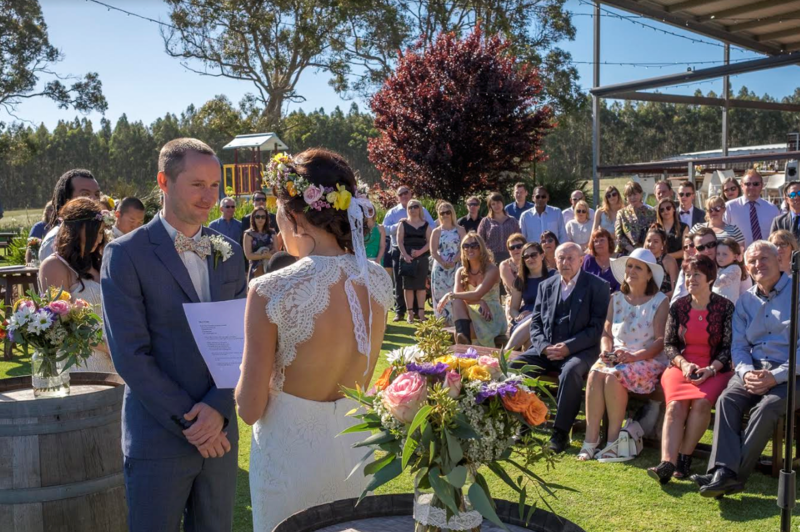 You will love Cowaramup Brewery if you are after a low key, casual and fun ceremony. Couples love this venue for its seclusion, simplicity, and the pub style food. Plus if you are going down the DIY track, it offers a bit more flexibility. The staff were very accommodating with our ideas and allowed us to choose alternative wines to be purchased for our wedding, that weren’t on the Cowaramup Brewery drink list. The food was ample, and I was informed by many of our guests that it was the first wedding they had attended where they hadn’t left hungry. The sliders were a great hit,and a good size, we highly recommend! Consider the need to hire additional heaters for the night as it gets very cold when the sun goes down. And keep a record of all conversations with the brewery and the booking just in case!